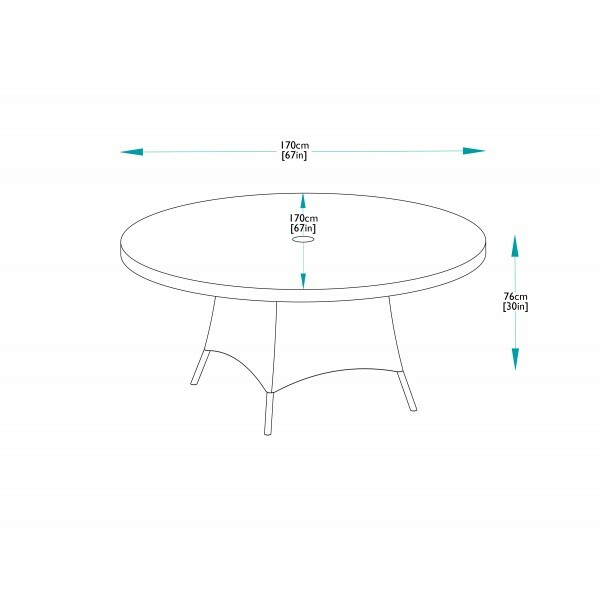 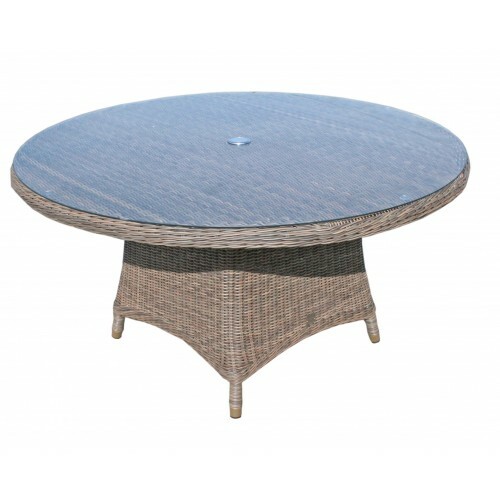 Create a stylish setting for socialising with this large round dining table from the Mayfair collection. 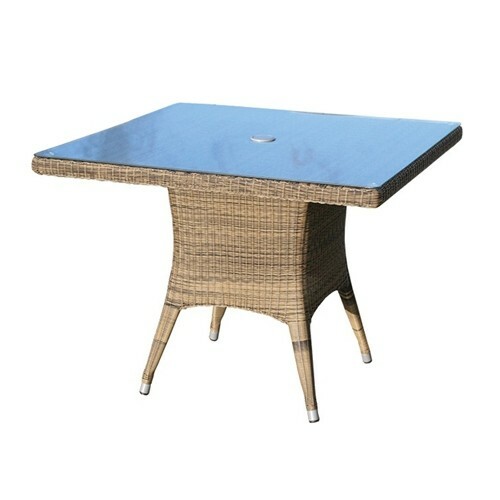 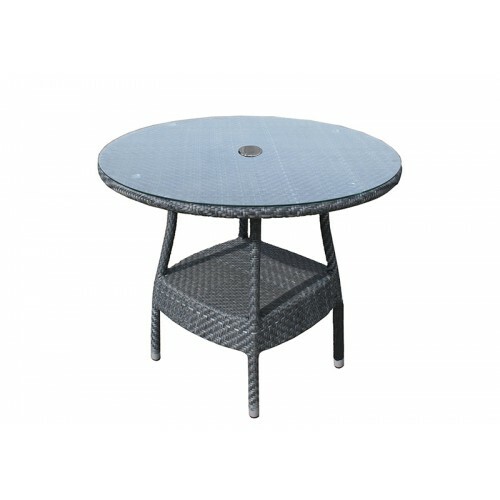 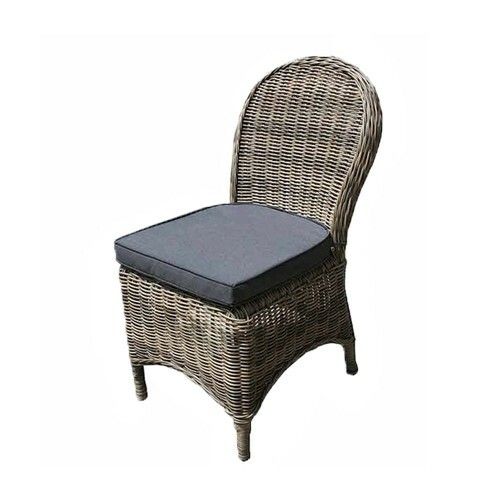 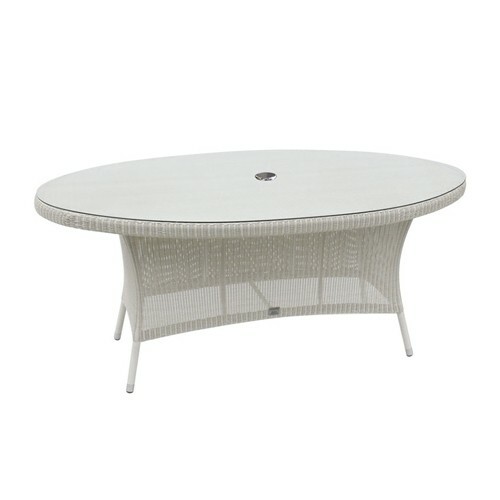 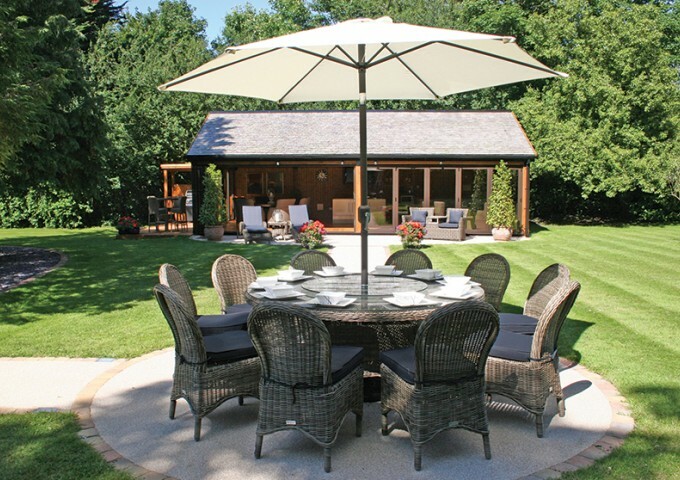 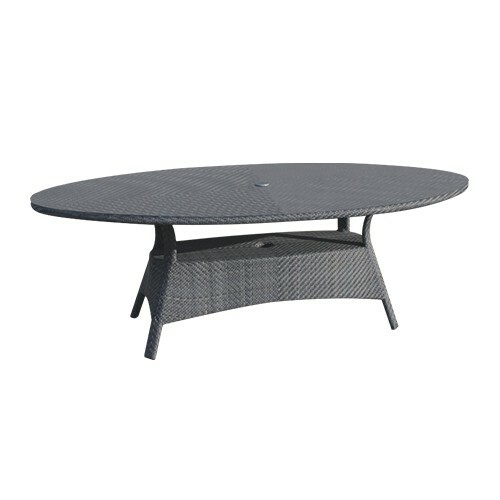 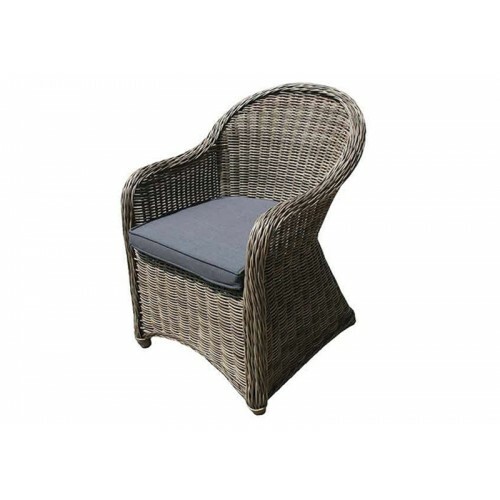 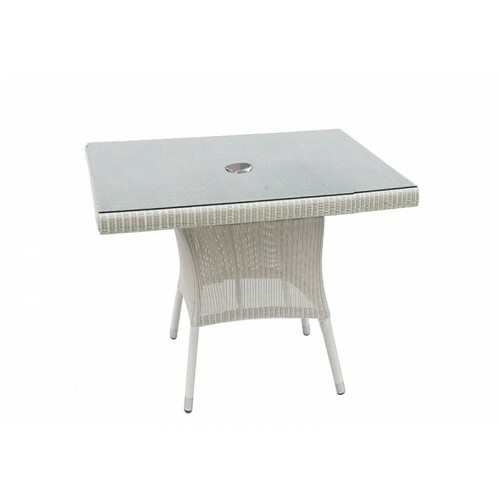 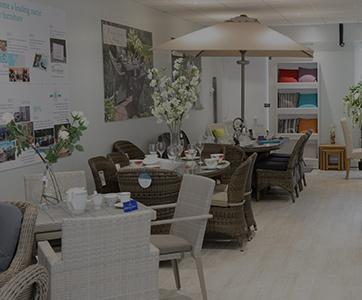 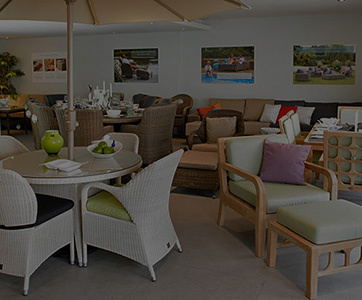 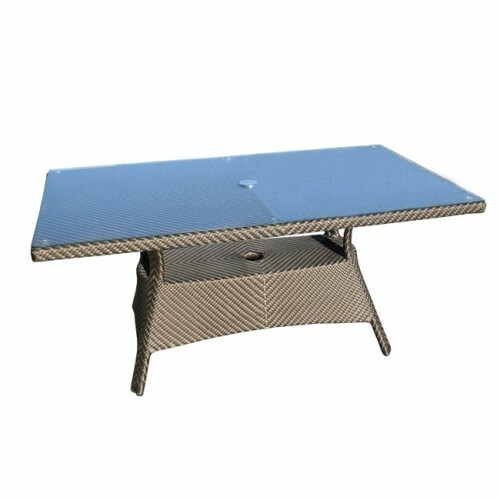 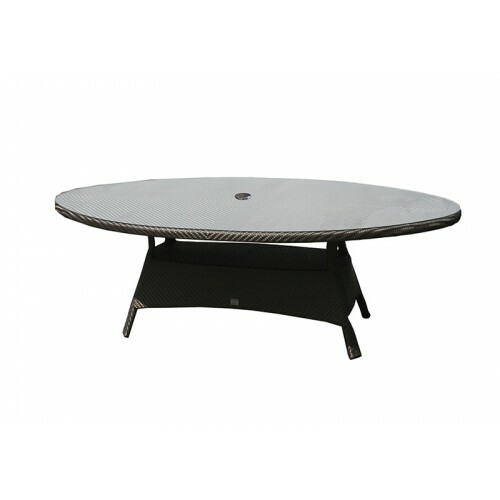 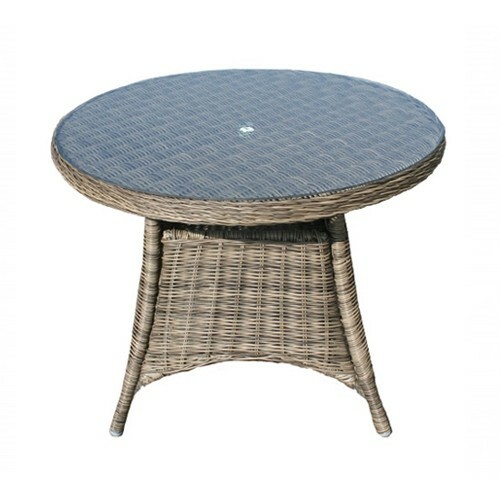 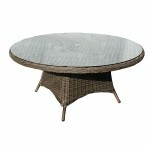 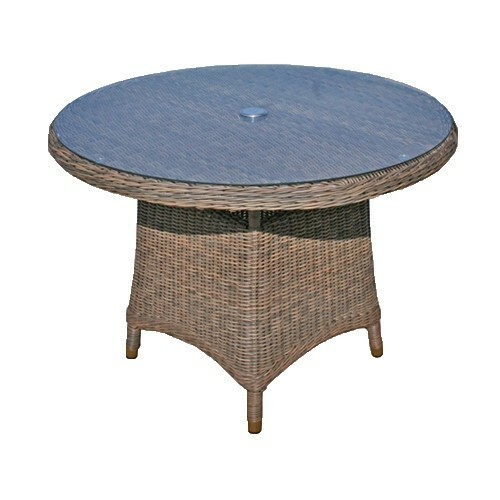 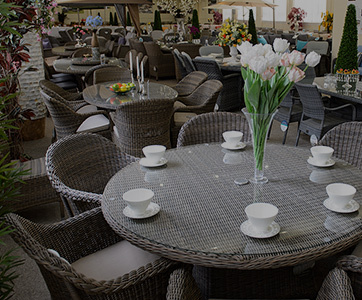 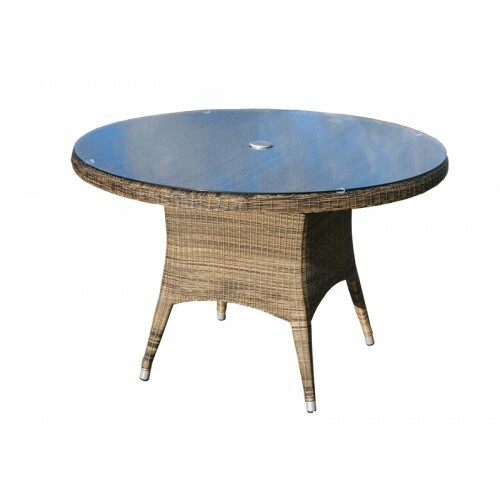 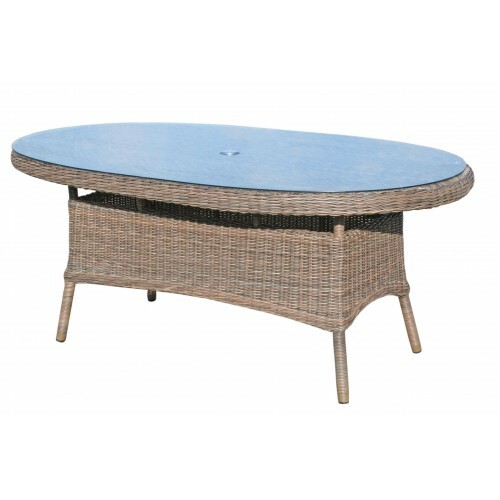 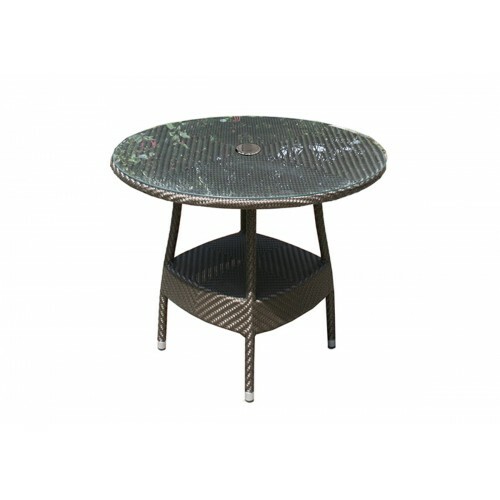 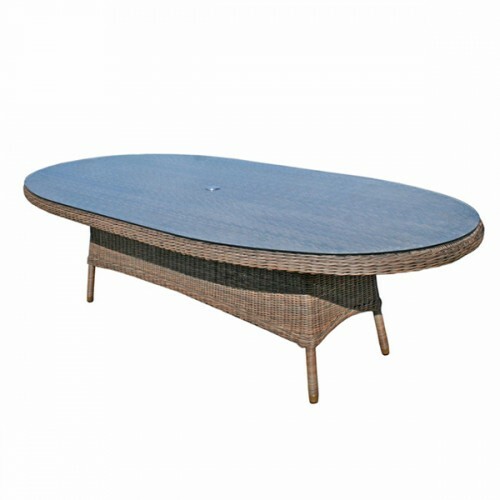 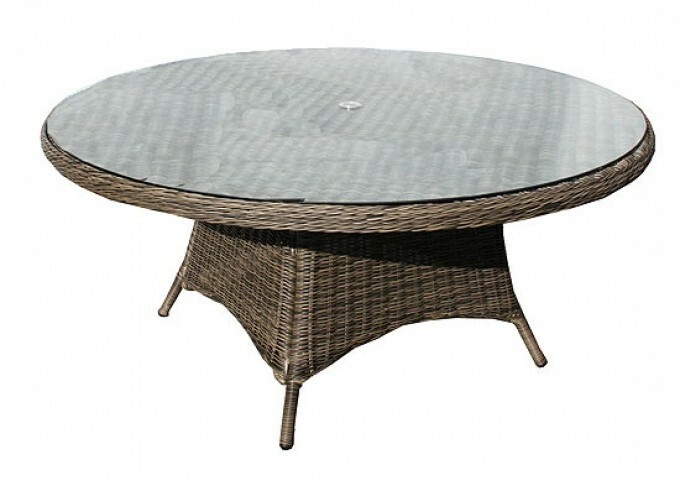 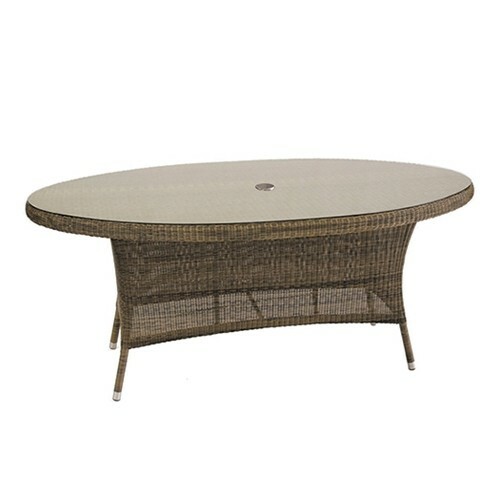 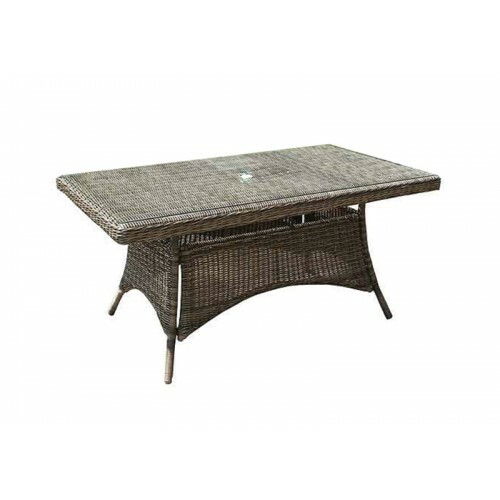 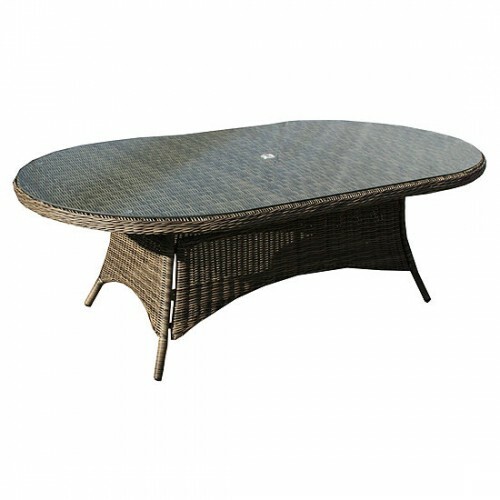 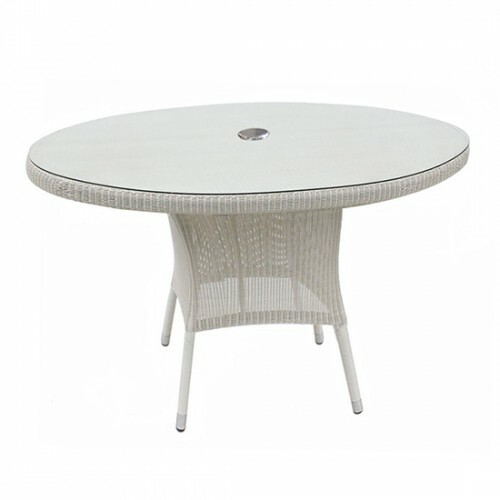 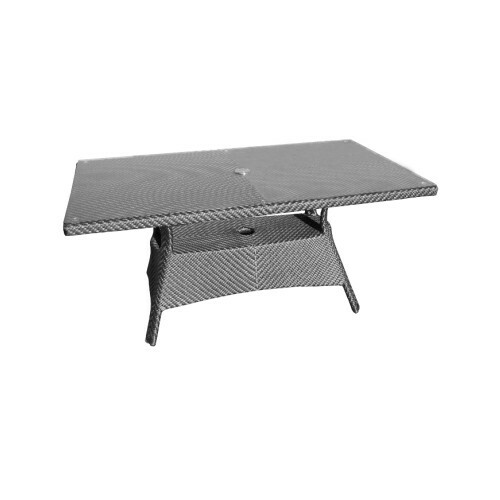 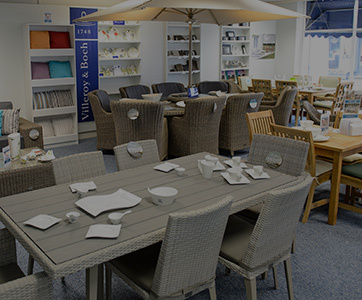 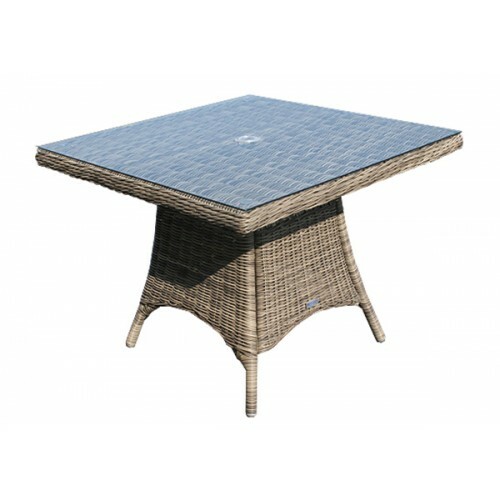 This table flaunts a fantastic design with hard wearing, weatherproof rattan, woven over a sturdy aluminium structure. 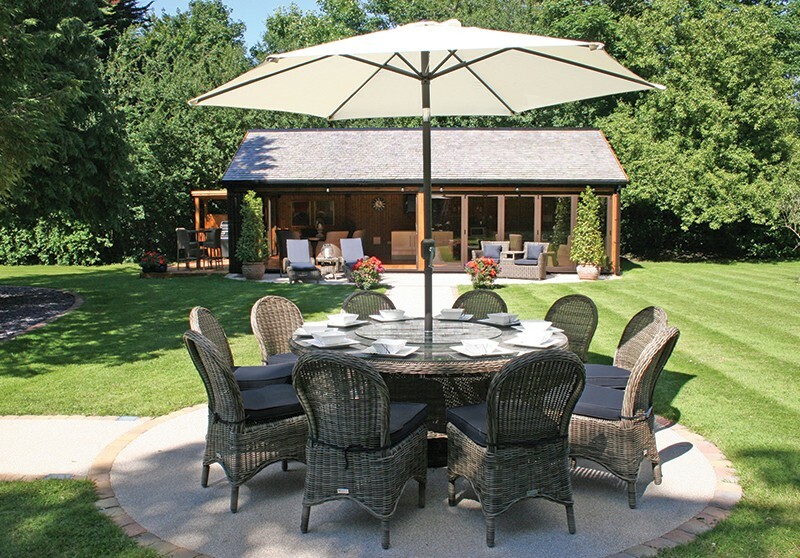 This naturally inspired design brings suitability and style together in harmony as it is reliably resistant to any kind of weather and looks great too. 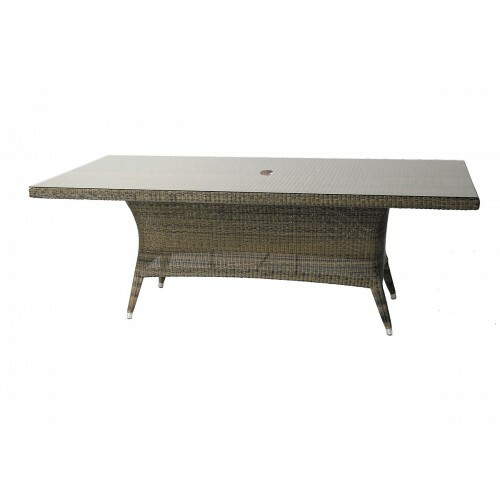 There is no need to bring this table in for storage and it only requires occasional cleaning to maintain the attractive appearance of the olive toned weave. 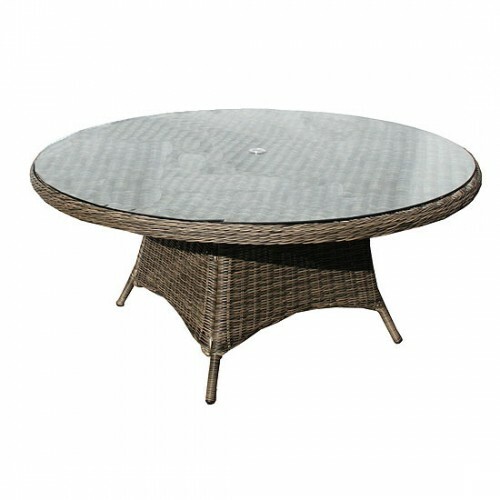 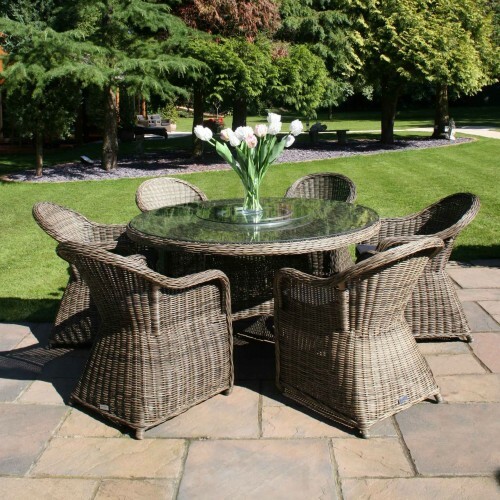 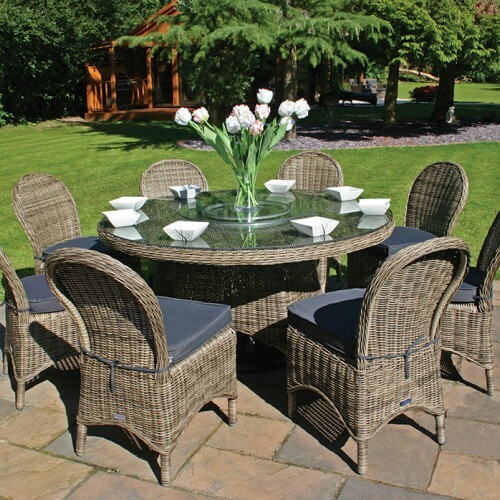 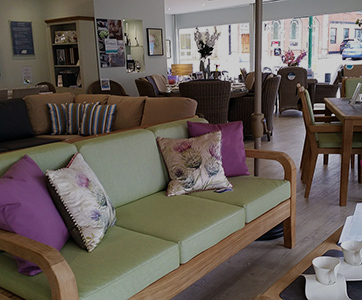 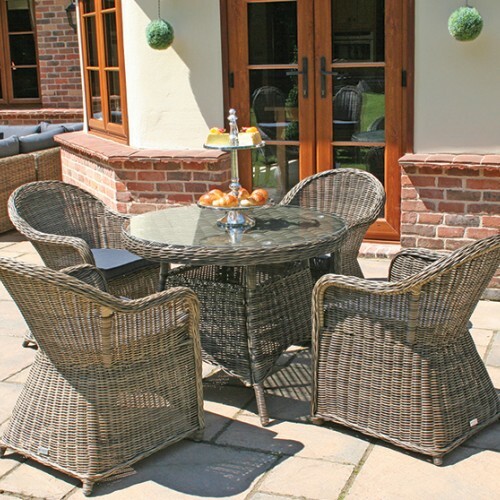 This 170cm Mayfair rattan table is ideal for large gatherings as it can seat between six and ten people depending on the style of matching Mayfair chairs you choose. 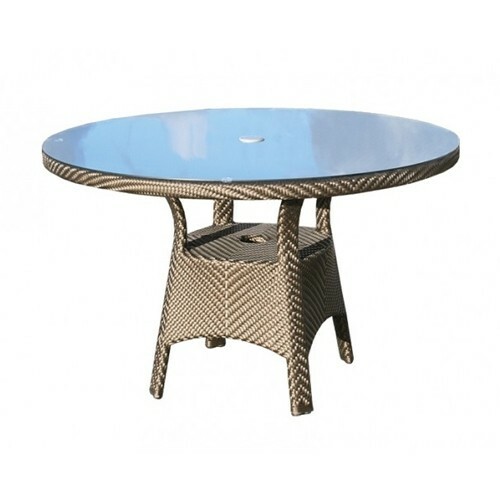 It is topped in clear safety glass with a hole in the centre to accommodate a parasol when required.